Jenna has a gift for piemaking and a horrible marriage to the loutish Earl. Her friends at the diner all have their own problems, and so she does what she can — dream of a better life away from Earl and take solace in her baking. Things get worse when she discovers she's pregnant, but then improve slightly when she meets her dreamy OB/GYN, Dr. Pomatter. Jenna and the doctor have a lot in common, and before you know it they're embroiled in a steamy affair. But is an affair any way out of a marriage? Jenna pins her hopes on winning the grand prize in a baking contest and using the money to escape her small town and start over somewhere else, but life doesn't always give you what you want. The new fan-favorite musical Waitress is a feel-good story based on the Keri Russell film of the same name and features songs by Sara Bareilles. 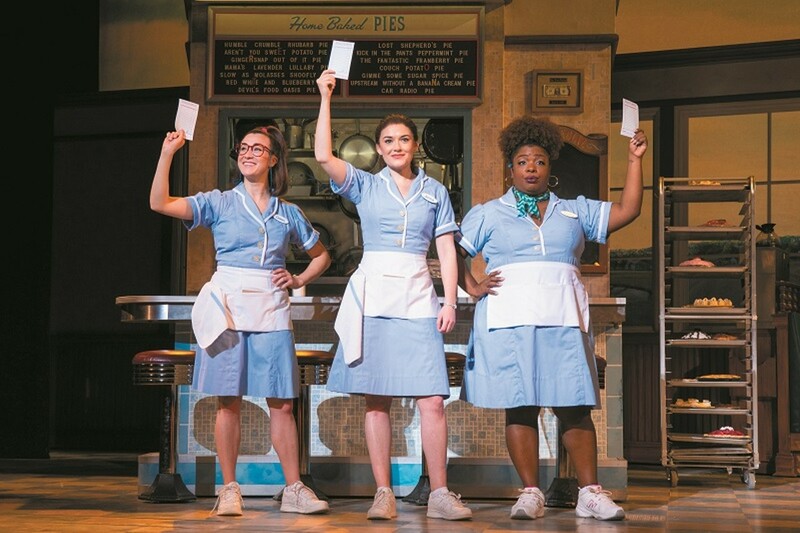 Waitress is performed Tuesday through Sunday (March 26 to April 7) at the Fox Theatre (527 North Grand Boulevard; www.fabulousfox.com). Tickets are $29 to $104.